If you are looking for something classy this is for you. An elegant mini top hat that would not be out of place at the races. 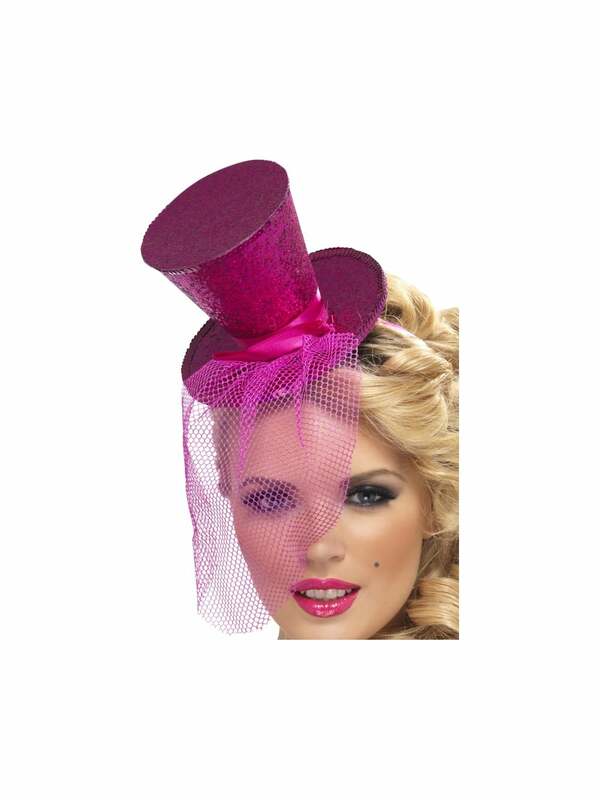 Step out in style on your hen night and show people your class with this exceptional quality glitter, mini top hat. Easy to wear, stylish and elegant! Review - I bought this hat for the bride and bought the bridesmaids and mother of the bride the smaller black versions, so the bride stood out. We haven't had the hen party yet, but it looks great!! I bought this hat for the bride and bought the bridesmaids and mother of the bride the smaller black versions, so the bride stood out. We haven't had the hen party yet, but it looks great! !